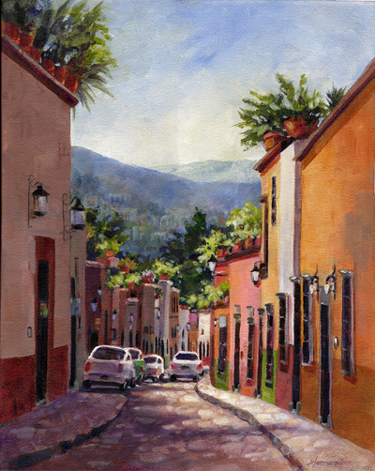 The cobbled streets and colonial architecture add to the charm and soul of San Miguel De Allende, Mexico. 16 x 20. Not available.